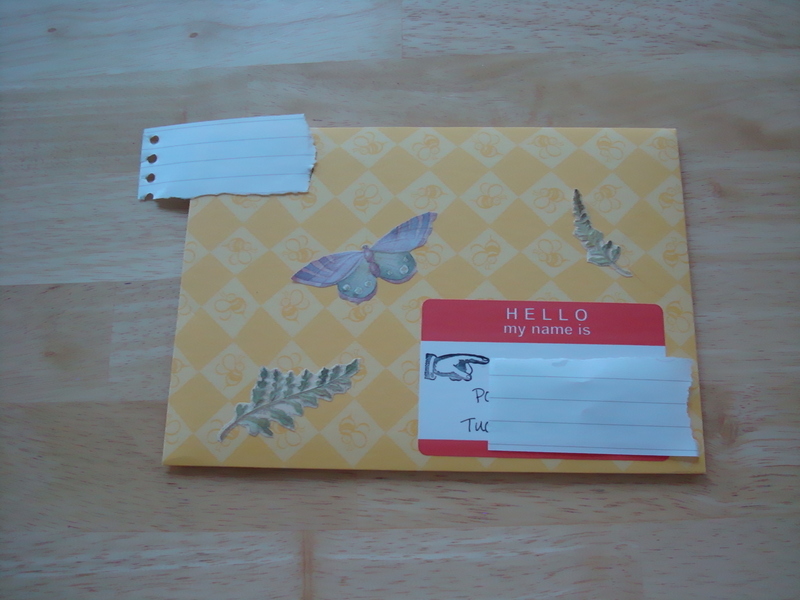 At first I was a bit flipped out – it’s been a while since something like that has ever happened, and actually, the first time something involving mail art / pen pals has ever been returned. 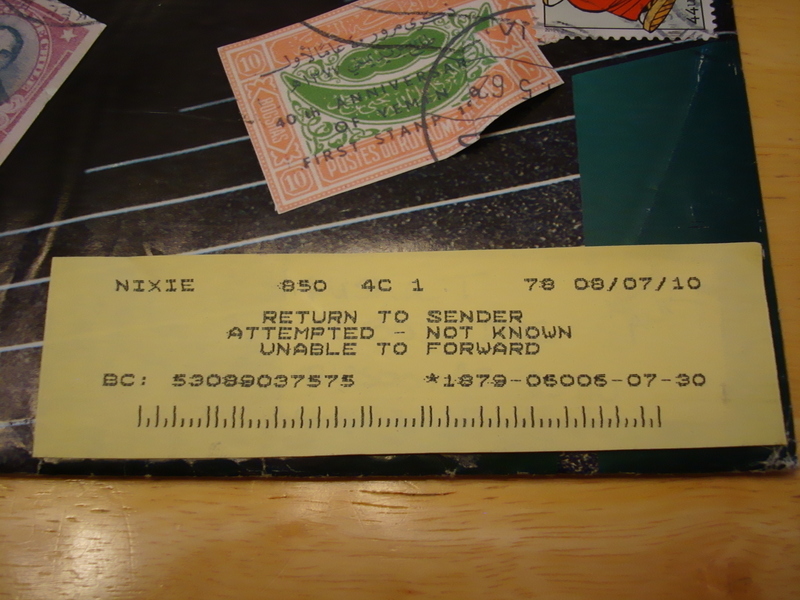 So I did some searching on the interwebs (yes, I so totally stole that from Shanna ;p) I discovered that the original address I copied was entered wrong by the poster. She had then went on to reply to herself and post the correct address but I guess I didn’t catch it… or caught it and still wrote down the wrong one. Who knows? The main thing is I have, I hope, the correct address now and all that was needed was to stuff it into a bigger envelope and send it on it’s merry way. I had a pretty productive weekend considering I was hostessing my hubs board game extravaganza. Well, productive in letter writing and ink/fountain pen testing, I got quite a stack waiting to be dropped off at the post office tomorrow. Oh, and a couple of Postcrossing postcards too. 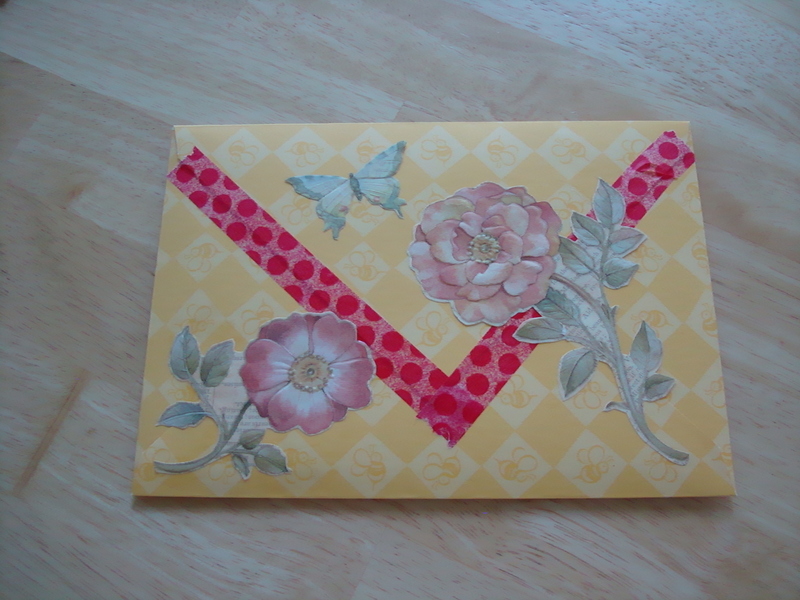 My one fun project I forgot to take pictures of before putting it in the envelope. I’m going to make another one and make sure to take plenty of pictures or even *gasp* try my hand at a video. I also finished up a bunch of envelopes. I’ll be posting those up on my Flickr (there should be a link on the right) size 10 linen business envelopes. These are the best of the bunch – there were a few that didn’t like the ink I was using. It’s a challenge coming up with an ink/paint that isn’t too watery or too thick.